For those who have not had any experiences, we will have suitable method to evaluate your ability accurately. Even for those who have resigned from AGS, if you are qualified enough you are always welcomed again without any discrimination. Except those who are potential but dishonest and unfaithful to the company. Those who only care about their own advantages and disturb company or customer business are not highly respected. People of those characteristics are not welcomed again after leaving the company. However, as there are no discriminations no matter what the resigntion reason is,we encourage you to take challenge and try your best if you would like to work for AGS again. It is never too late to learn anything, so we always welcome candidates who are willing to take challenges, and have a strong motivation to move forward. Even though you have resigned from the company, if you would like to develop yourself more in work, you can apply again since our aim is to develop the company together with the staff. Together with the staff, we aim to develop the company with the customers. We extremenly appreciate potential staff. We also aim at growing up, developing and getting succes like the way the Vietnamese people and the whole Vietnam did. On top of that, we will ensure the growth, development and success of the customers by always following up their business. From now on, we will continue to focus on education and investment for future development. We appreciate the spirit to take challenges and grow up. HaNoi 6F Hoang Sam Building, 260-262 Ba Trieu st., Hai Ba Trung Dist. 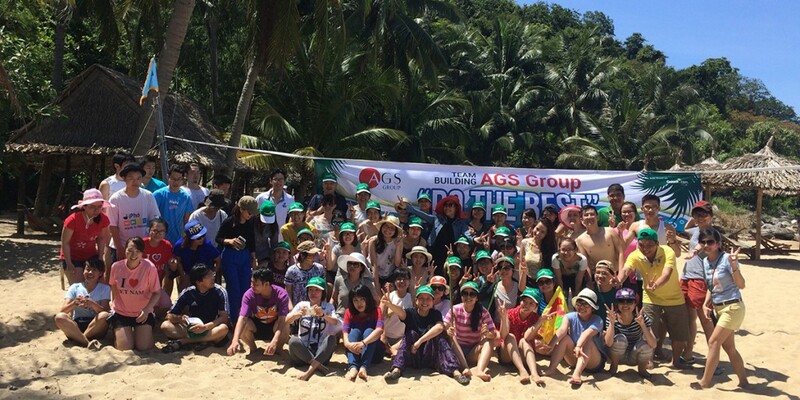 Send your application by email to the recruitment website address Email address for recruitment: agshcmc.cv@ags-vn.com (HCM, Da Nang) or agshn.cv@ags-vn.com (Ha Noi). After the candidates have already carefully checked the Offer letter, we will start the joining procedure.After your have passed the interview round, you will start working within 1 week to 1 month. Do you have any regulations about uniform or hair style? Does company have any events? How long does it take for recuitment process? Does the company return the application form to the applicants? I have applied to this company before, so can I still submit my application form again? Are Japanese and English abilities required ? As most of our customers are from Japan so we use Japanese as the main communication language. Apart from that, we also use English to make contract, or reply email to the customers so it is necessary that you have a basic level of English. There are some Japanese staff who can speak English quite well so if you would like to learn Japanese, we can offer you Japanese lessons with them. Where can I ask questions relating to recruitment? Please feel free to contact us at agshcmc.cv@ags-vn.com or agshn.cv@ags-vn.com. In case the applicant does not write the CV himself/herself or the information in the CV are inaacurate, he/she will be disqualified to apply, or the contract will be cancelled even having been recruited. Therefore, we hope that the applicants will give the true information about themselves while applying.